The Best Meatloaf Recipes are exactly what’s missing from your meal rotation. 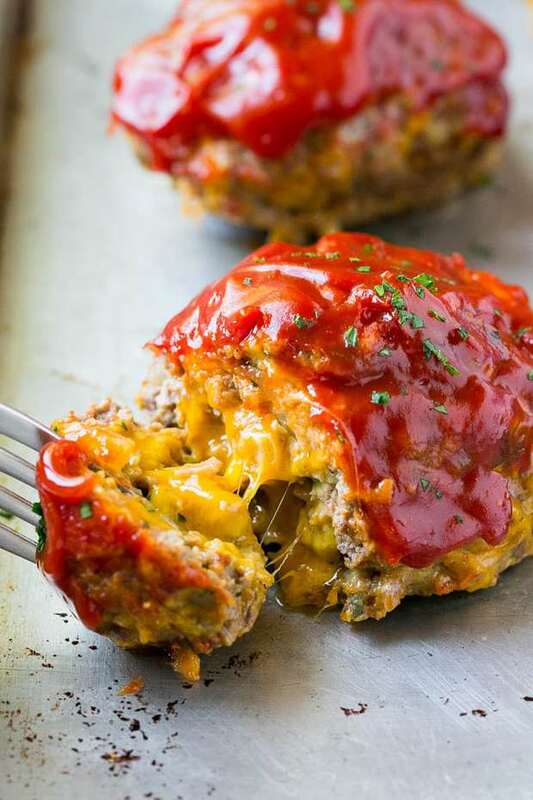 After trying these recipes, you will want every night to be meatloaf night! When I was a kid meatloaf always sounded like something I should be afraid of. 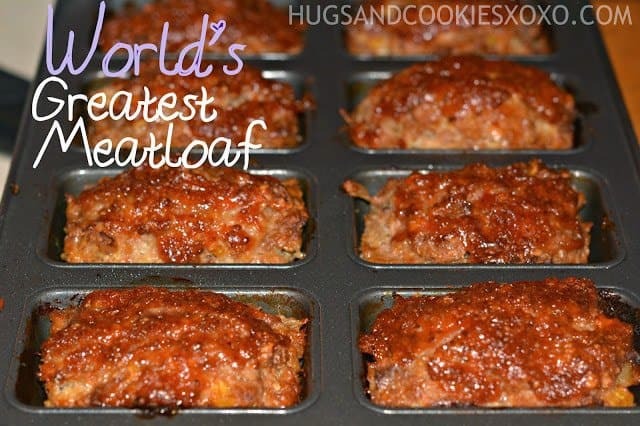 When I finally tried meatloaf, it quickly became one of my all time favorite dinners! It is a perfect, easy way to throw together a delicious dinner to feed your family! 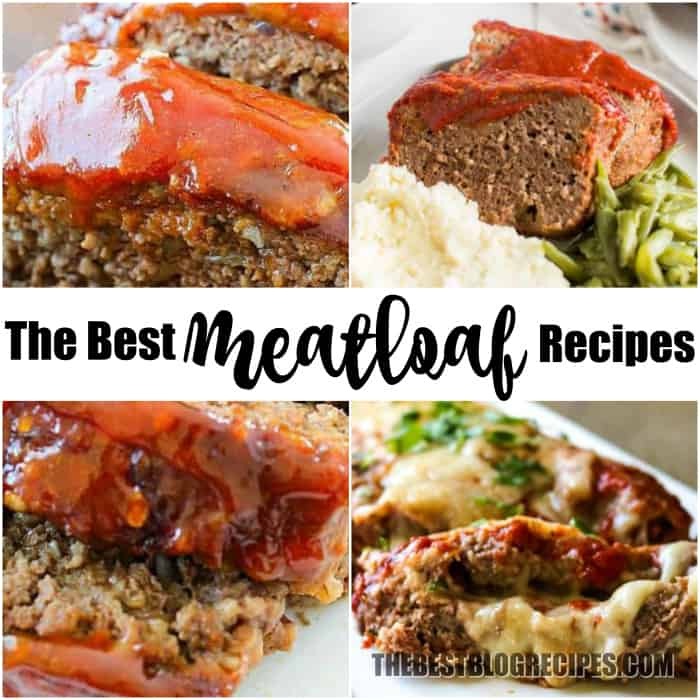 Meatloaf is such a simple dish to make, and these recipes are some of the best when it comes to irresistible flavor. A few weeks ago I made my kids meatloaf for the first time. I was nervous about how this meal would be received, and I couldn’t believe that I hadn’t made it before. 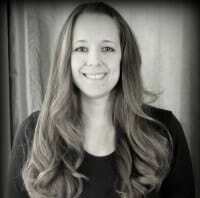 I have a child in college, for goodness sake! The results were LIFE CHANGING. The kids asked for seconds, then thirds — finally I came to the conclusion that I should just make a second loaf next time. There is nothing better to me than an easy to make recipe that tastes unbelievably good. 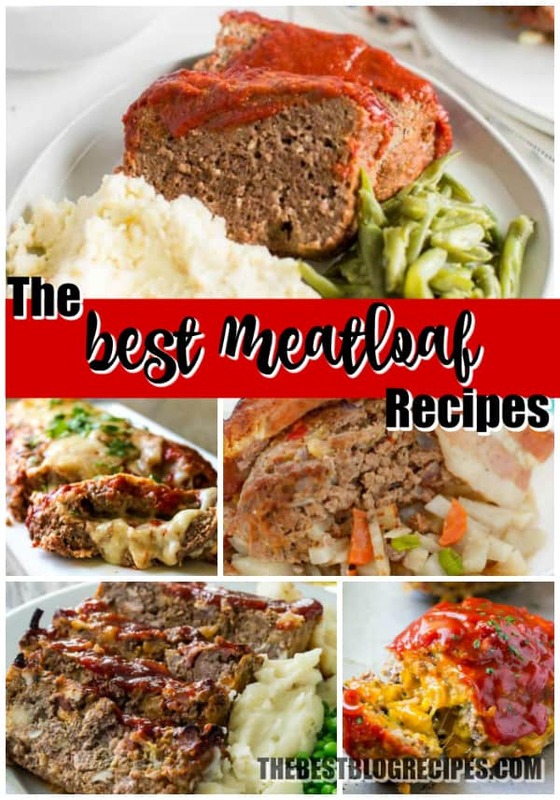 That’s the reason I decided that I needed to make a list of The Best Meatloaf Recipes for you, my lovely readers! These recipes are the best! No flavor is sacrificed with their easy preparation! I know that you and your family are going to love these recipes. Seriously, make any one of these recipes and know it will be a hit among your friends and family. Head on over to check out The Best Orzo Pasta Recipes while you are here today — they make a great Meatloaf Side Dish! Personally, I love making meatloaf for Sunday dinners. You could totally serve this during Christmas dinner as well. My oldest usually requests meatloaf on her birthday, it’s her favorite! 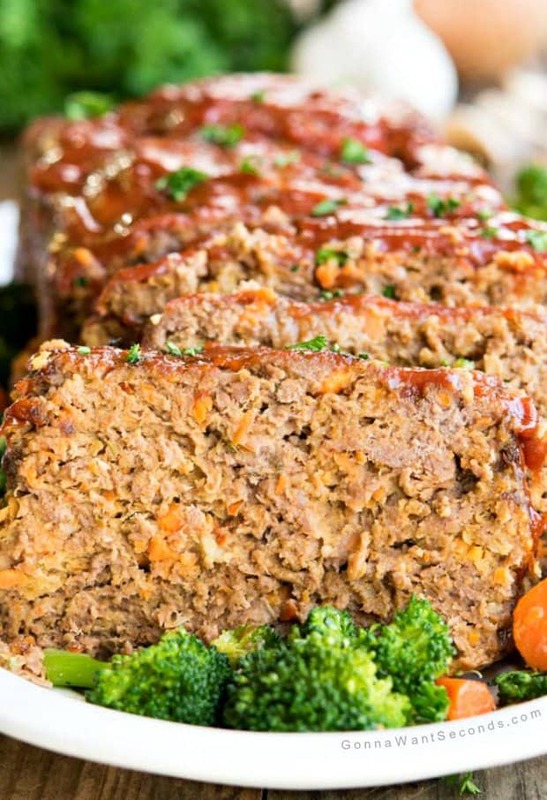 The great thing about meatloaf is that you can serve it any day of the week, for any occasion! 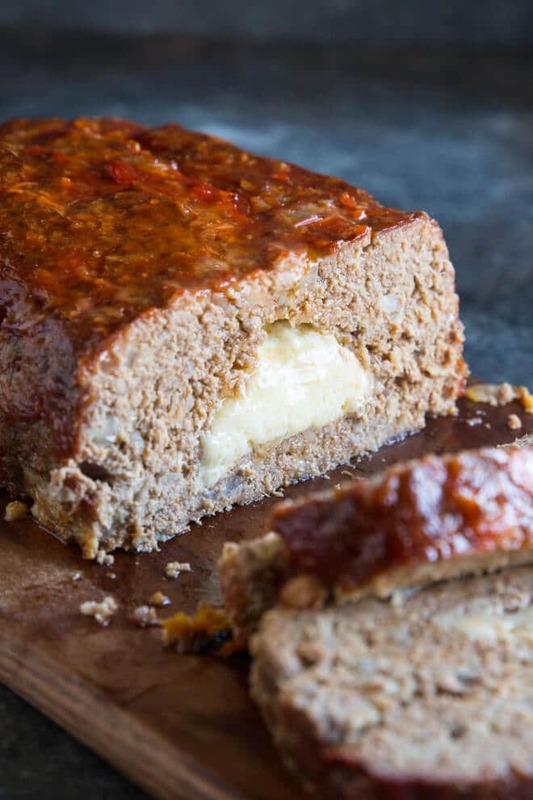 From The Chunky Chef :: Click HERE for the RECIPE Not your average meatloaf recipe, this glazed chipotle meatloaf is packed with bold flavors like chipotle peppers, pepper jack cheese, chili powder and cumin! 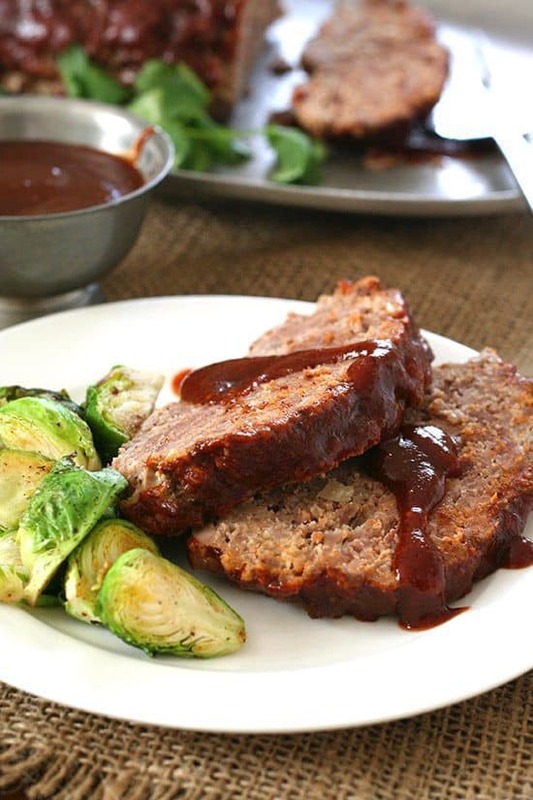 From Great Grub, Delicious Treats :: Click HERE for the RECIPE This Crock Pot BBQ Meatloaf is super easy, tastes great and is a delicious comfort food the whole family will enjoy. 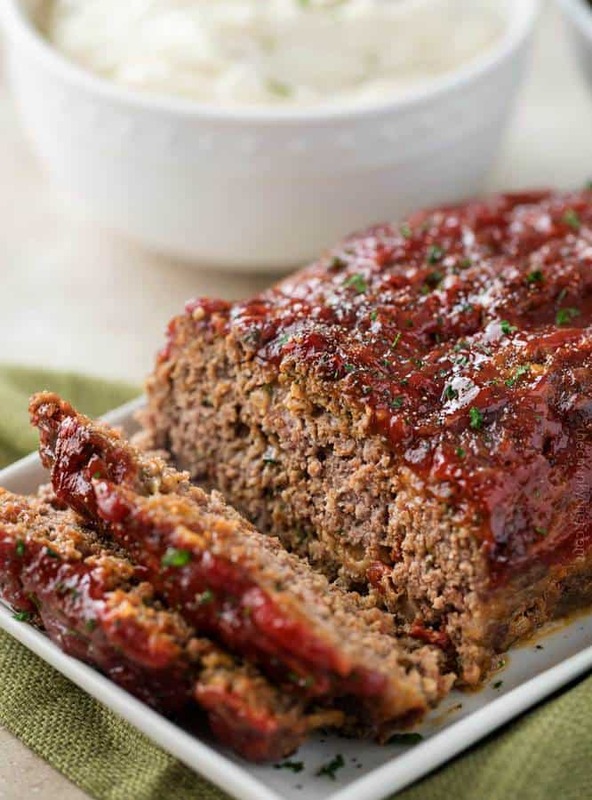 The delicious flavor of the barbecue sauce gives this meatloaf a savory, smokey flavor then topped with additional barbecue sauce makes this one tasty meal. From Gonna Want Seconds :: Click HERE for the RECIPE There’s just no competing with the Alton Brown Meatloaf recipe. You’ll make some magic in your kitchen with this beefy beauty, scientifically engineered by Mr. Brown himself to be the best! 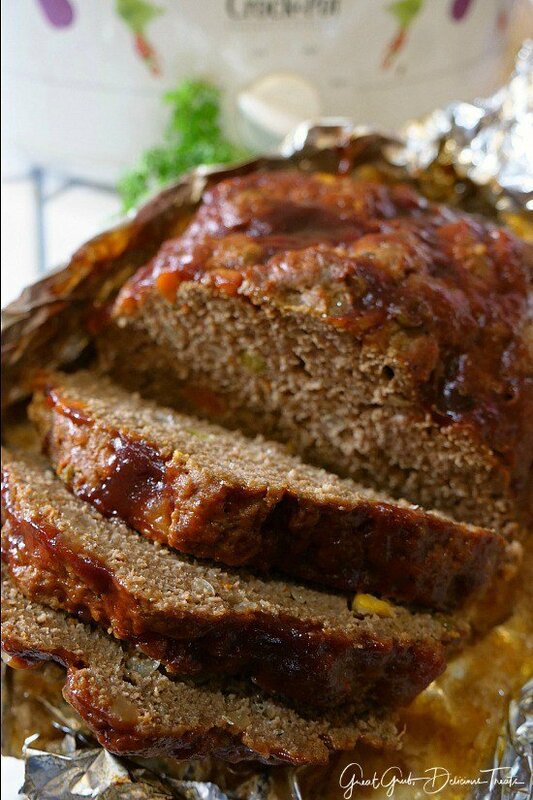 From Yummy Healthy Easy :: Click HERE for the RECIPE This Meatloaf Recipe is my family’s FAVORITE dinner recipe! It really is the Best Ever Meatloaf, and it is incredibly easy to make. So much flavor packed inside with a delicious glaze spread on the top! 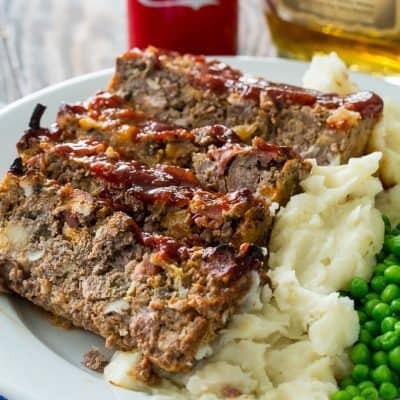 From Spicy Southern Kitchen :: Click HERE for the RECIPE This Kentucky-style Bourbon and Coke Meatloaf will become the only way you will want to eat meatloaf. The flavor is awesome! The meatloaf is flavored with bourbon, coke, and lots of bacon and has a ketchup and brown sugar glaze. Leftovers are great for making a meatloaf sandwich. From Home. Made. Interest. 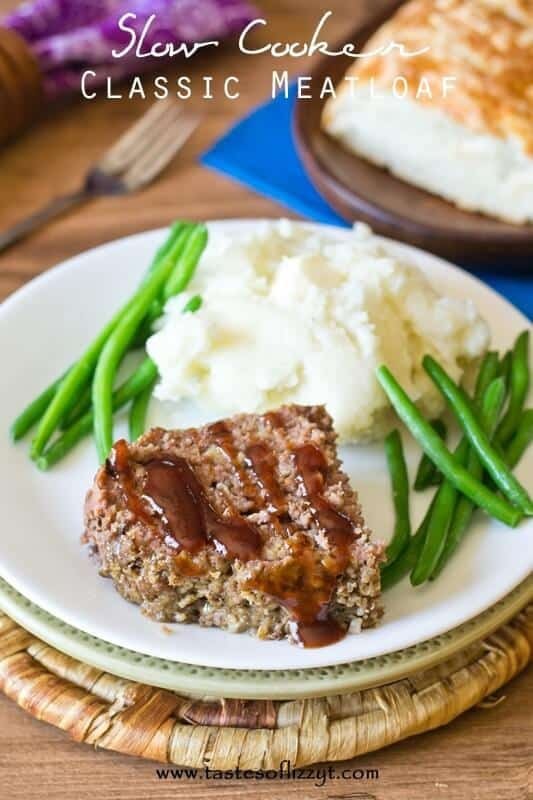 :: Click HERE for the RECIPE Low Carb Meatloaf is a low carb version of one of your favorite comfort food recipes. 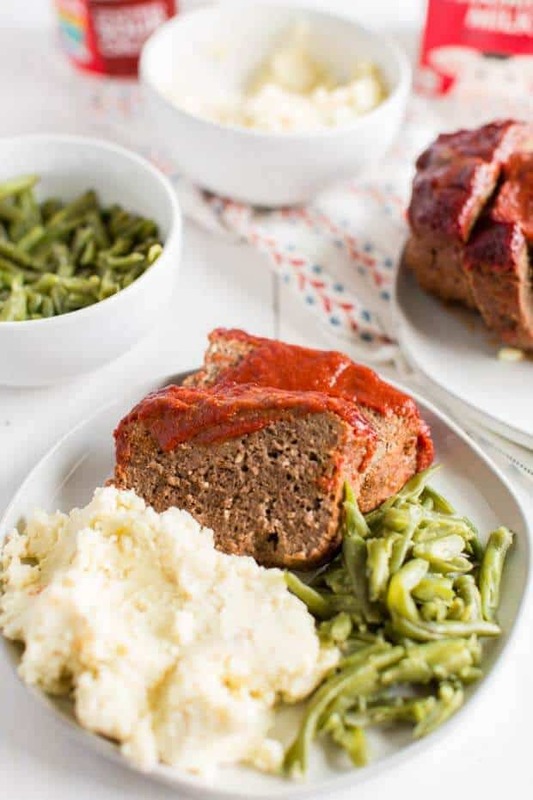 This moist, tender meatloaf tastes just like the original! 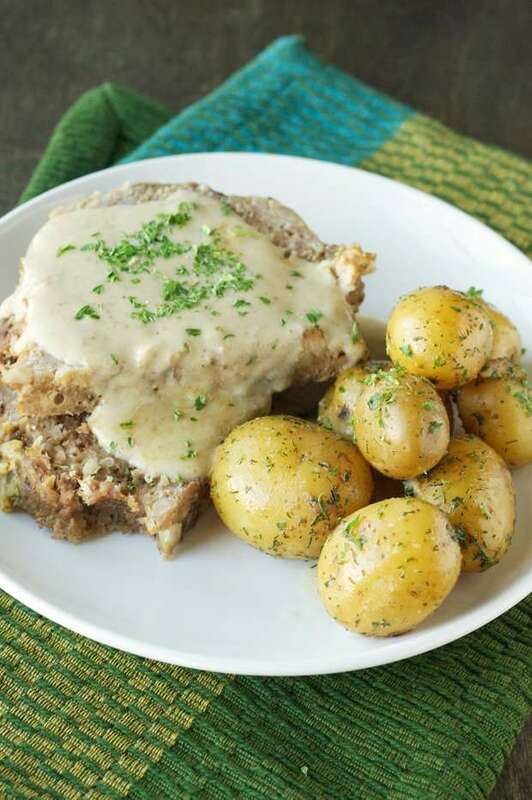 From Slow Cooker Gourmet :: Click HERE for the RECIPE This meatloaf is full of savory seasonings and topped off with a creamy gravy and served up with delicious baby potatoes soaked (yes, soaked!) in butter and dill! 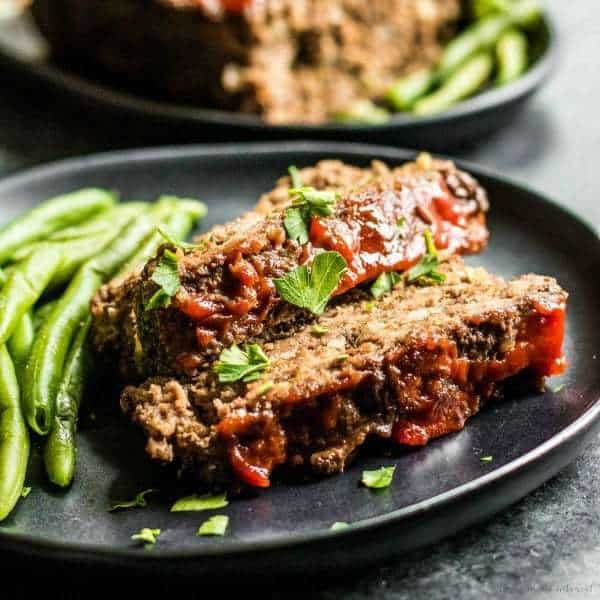 From Tastes of Lizzy T :: Click HERE for the RECIPE This Slow Cooker Meatloaf is made easily in your crockpot and has just 4 ingredients! 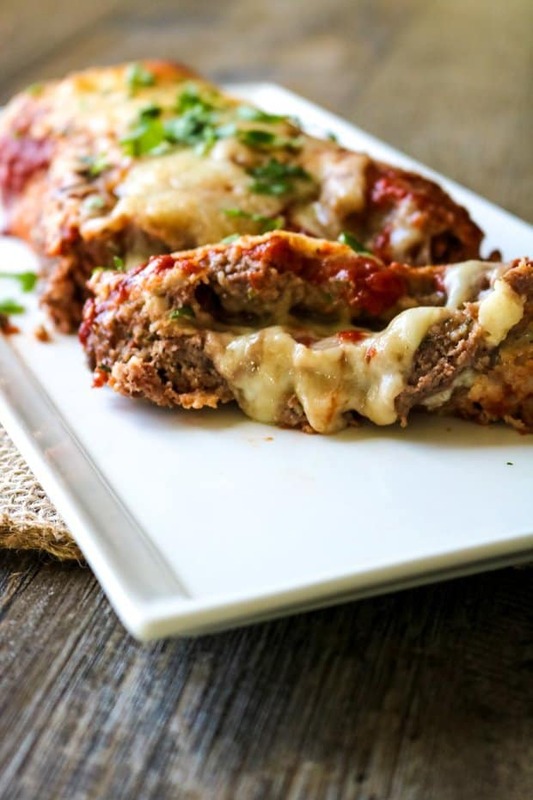 From A Mindful Mom :: Click HERE for the RECIPE This Pizza Loaf tastes nothing like traditional meatloaf but just like pizza and is sure to be a hit with your family as much as it is with mine! From The Food Charlaton :: Click HERE for the RECIPE The fresh herbs and garlic sauce take it to a whole new level. Plus it’s HUGE, so it’s great for feeding a crowd. Or you could freeze half for a later meal. 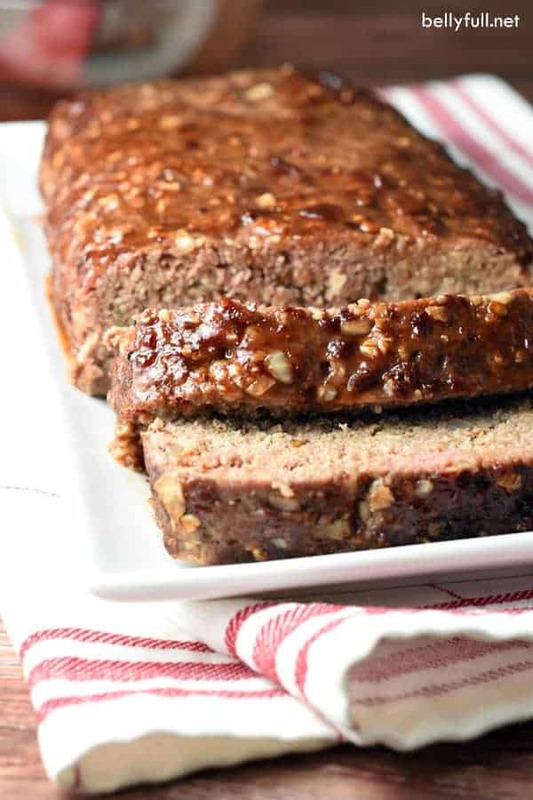 From All Day I Dream About Food :: Click HERE for the RECIPE Low carb BBQ meatloaf made in your slow cooker. Dinner is stress-free, grain-free and sugar-free. And it’s delicious! 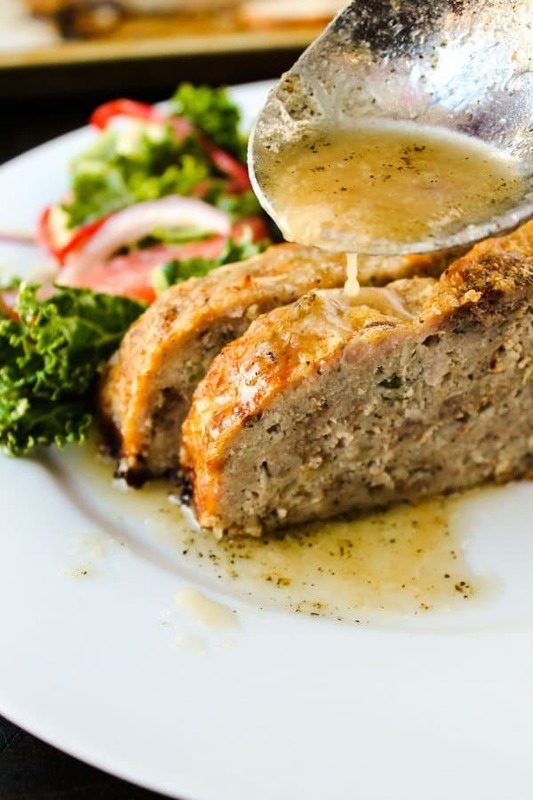 From Taste and Tell :: Click HERE for the RECIPE Traditional meatloaf takes a healthy turn with this Slow Cooker Turkey Meatloaf. It’s tender and flavorful and the perfect way to have a comforting meal on the table after work! 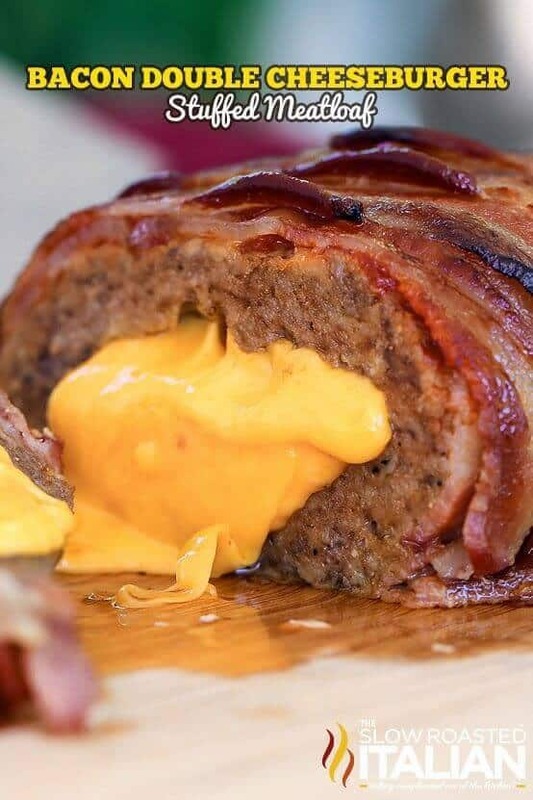 From Dinner at the Zoo :: Click HERE for the RECIPE This Cheeseburger Meatloaf Recipe is individual meatloaf filled with bacon and cheddar cheese that are baked to perfection. Comfort food at its finest! 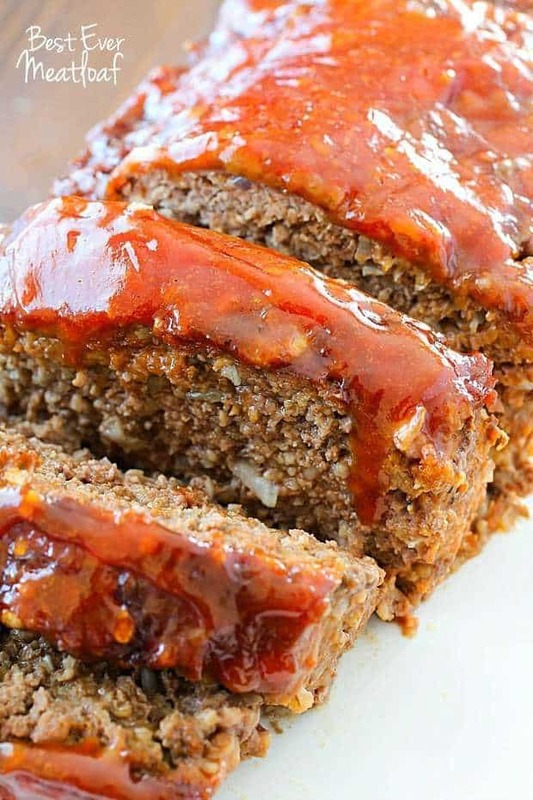 From Belly Full :: Click HERE for the RECIPE This Honey Chipotle Meatloaf is where it’s at! Coated with a fabulous sweet and spicy glaze and only takes 10 minutes to prepare! From Julie’s Eats and Treats :: Click HERE for the RECIPE Bacon Ranch Crock Pot Meatloaf – The ultimate comfort food dinner! 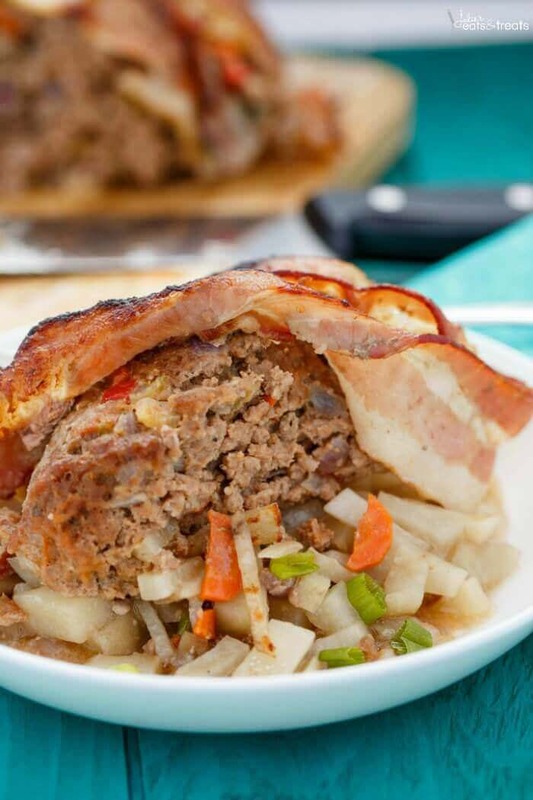 Homemade meatloaf wrapped in bacon and cooked in you slow cooker! From Melissa’s Southern Style Kitchen :: Click HERE for the RECIPE Seasoned lean ground beef is stuffed with spicy pepper-jack cheese then mixed together with our favorite fiesta seasonings and crushed Doritos, turning this taco meatloaf into homemade fiesta any say if the week. 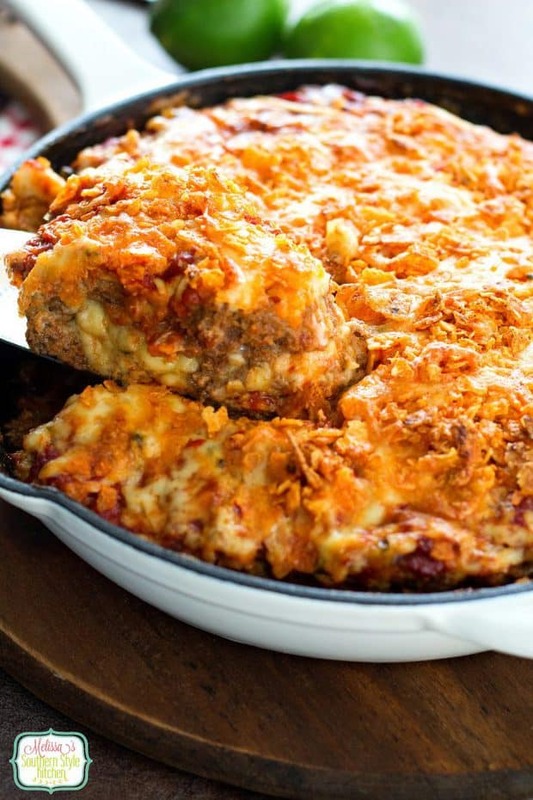 From Culinary Hill :: Click HERE for the RECIPE Mom’s best 6-ingredient meatloaf is now the ultimate comfort food: Stuffed with cheese! Double the recipe; you’ll want leftovers for sandwiches! From Hugs and Cookies XOXO :: Click HERE for the RECIPE This meatloaf recipe is absolutely incredible! From The Slow Roasted Italian :: Click HERE for the RECIPE Bacon Double Cheeseburger Stuffed Meatloaf is bursting with bold steak flavors! Just the thought of the ultimate comfort food is just about enough to make my mouth water, but stuffing it with cheese and covering it in the delicious brown sugar ketchup glaze and layered thick cut bacon put this recipe over the top!!! I won’t lie, meatloaf is seriously one of my favorite meals. I always have ground beef in my fridge or freezer, so this easy meatloaf recipe is a simple dinner idea that I use often. It may seem basic, but meatloaf is extremely versatile and filling — which makes it an easy favorite in my book. Plus, it’s yummy leftover! Hi what do you mean by stone ground mustard? Is that a powder or a gritty mustard like Dijon mustard?